As we pointed out earlier this month, this $5 Hanes T-shirt and these $30 Lee jeans have an incredible amount of positive reviews on Amazon. From the fabric to the price point, the wardrobe basic comes highly recommended by over 400 shoppers. Intrigued by the honest customer feedback, we popped back over to Amazon to find more white T-shirts with outstanding ratings. Today we’re bringing you an assortment of brands, styles, fits, and fabrics that all have two things in common: 1) Each is under $35, and 2) each earned a four-plus stars out of five. So let today be the day you finally find that perfect-fitting simple white T-shirt, and remember: Once you find The One, buy in bulk. 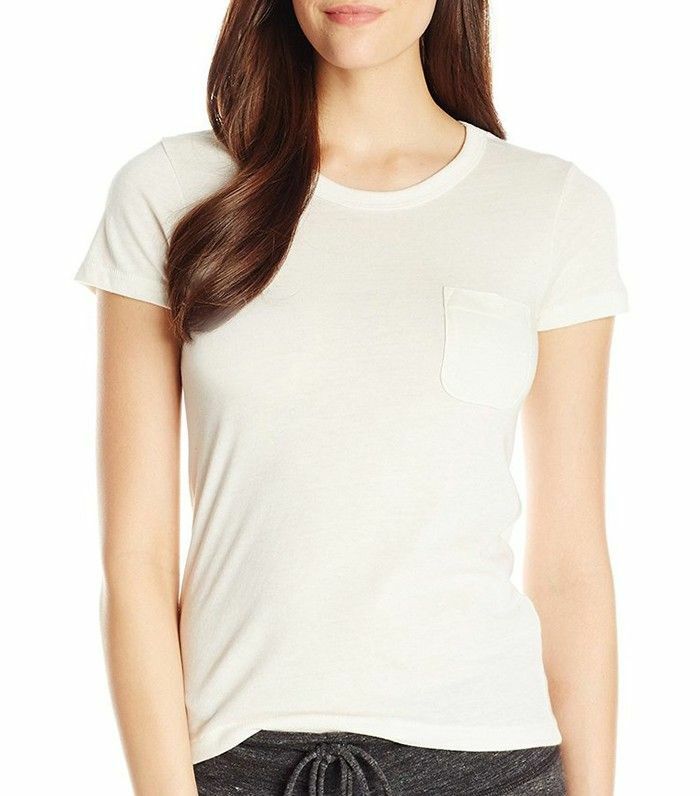 Scroll down to see and shop the best white T-shirts on Amazon right now. Top review: “These thermal-knit tops are wonderful, especially for traveling. They pack very well and never wrinkle. I’d recommend them to anyone who enjoys dressing casually, but still wants to look good."